You all have been asking, really begging for more Morning Work Buckets. I am happy to say, the wait is over!!! I have created Morning Work Buckets All Year Long. This is a Growing Bundle that will contain 50...and possibly more....hands on Math and Literacy Activities. 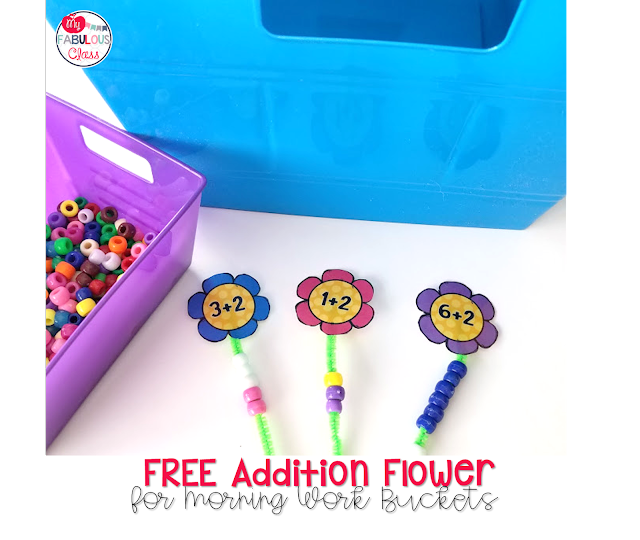 I also have 2 FREE Morning Work Buckets for you all to enjoy! Plus, I have some fun ideas planned for this week..,including FREEBIES! 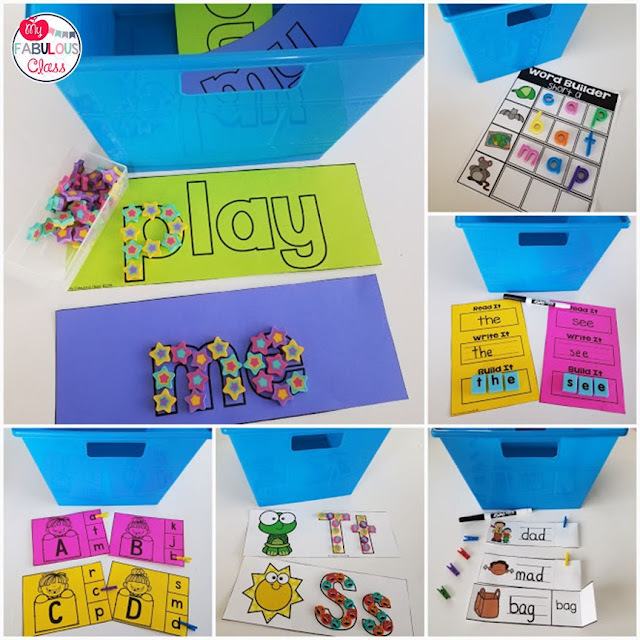 Currently, there are 6 Literacy activities and 7 Math activities. 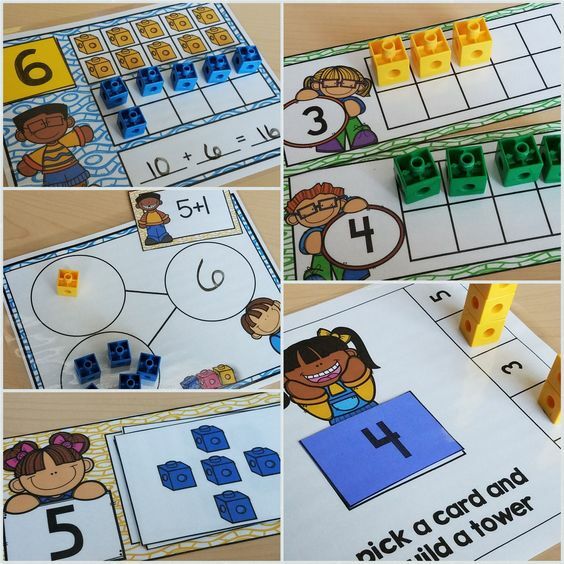 I will add 2 activities every week until there are 25 Math and 25 Literacy activities. I plan to complete it by August 2018. When the bundle is complete, it will be $50, but for today and tomorrow ONLY, you can get it for $15!!!! You can buy it HERE. 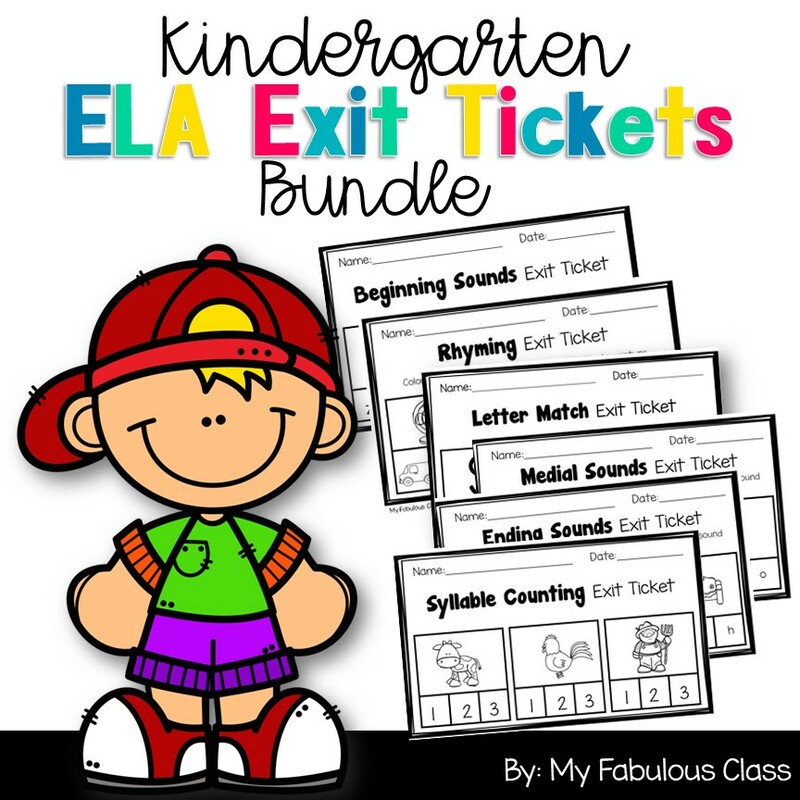 Scroll down for a closer look and a few FREEBIES! 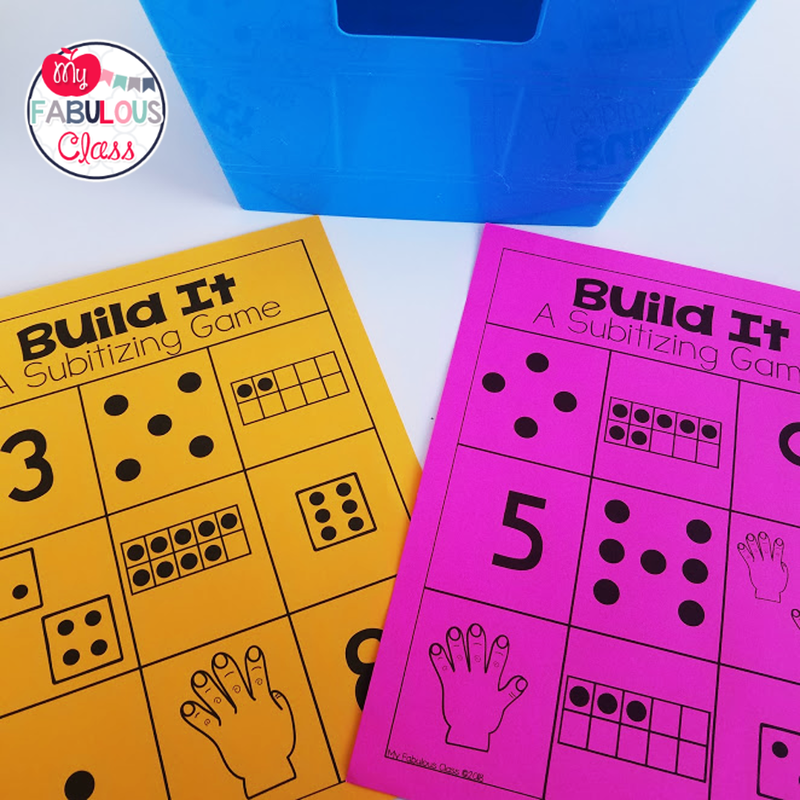 Just add unifix cubes to these subitizing boards. This is sure to be a class favorite. Anything with unifix cubes are a class favorite in my room. 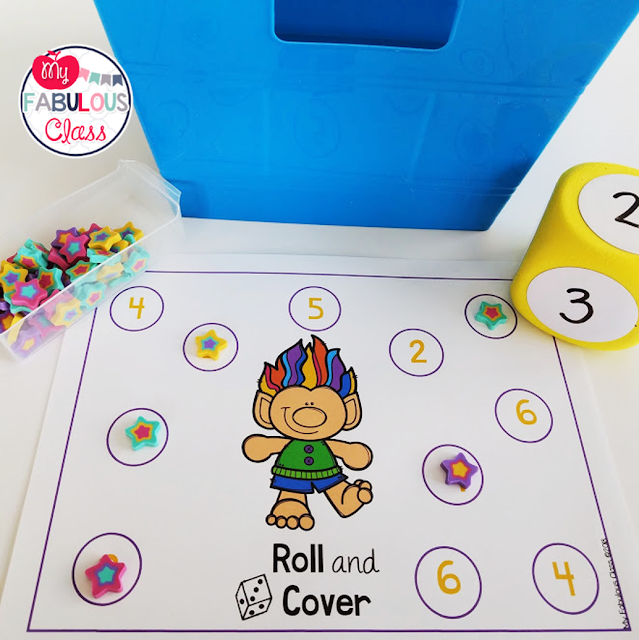 Roll and Cover are always a favorite. I created 4 different boards with year round themes that have both single and double dice. Tip- use foam dice. Plastic dice are too loud!!! 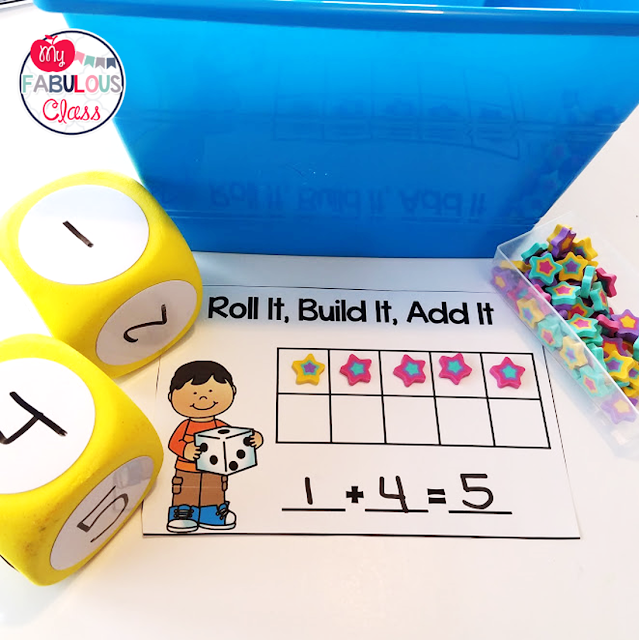 I created this new dice game, Roll It, Build It, Write it and Roll It, Build It, Add It. 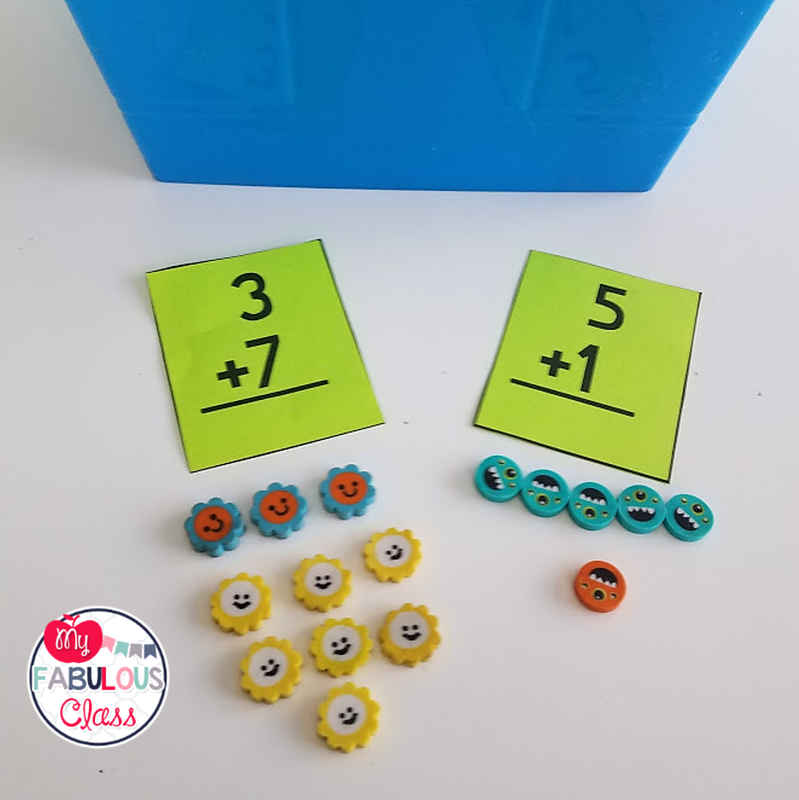 For this one, I suggest getting the dry erase dice and writing the number 0-5 so they don't go over ten...but don't worry, I included a double ten frame too if you want to use regular dice. 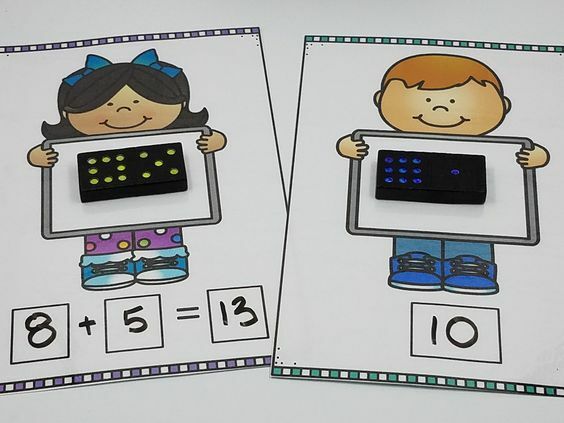 There are two boards for writing the number and two boards for adding. I know my class has been working on their addition and subtraction facts. 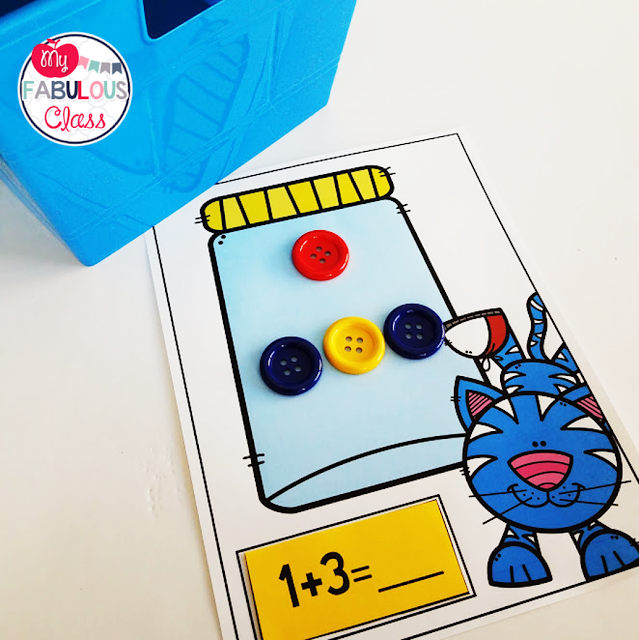 These cards allow students to use any of the 5,000 erasers you have laying around. This is a different set of addition and subtraction cards that can be used with or without manipultives. How cute is this cat with the button jar??? 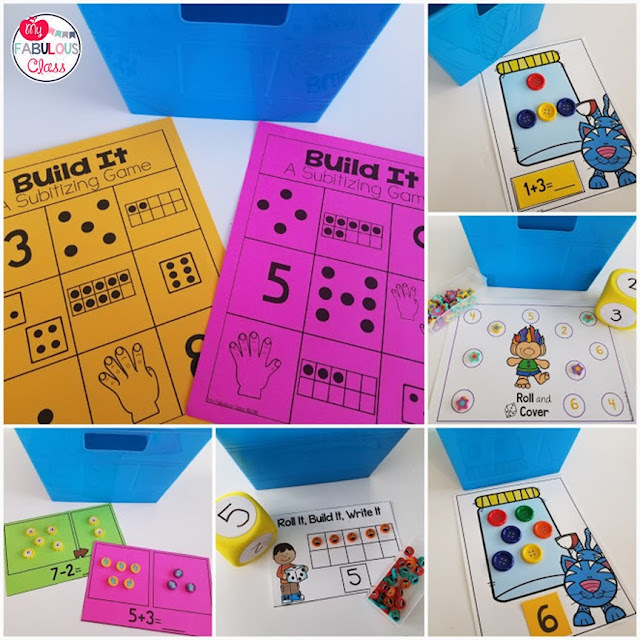 There are cards for building number sense, addition, and subtraction. CVC Word Bulder cards. Need say more? 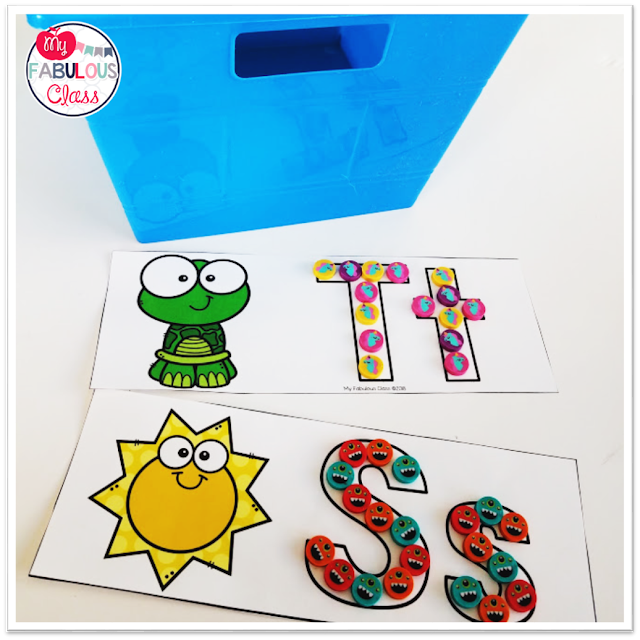 These letter clip cards are in black and white and look fabulous on bright paper. 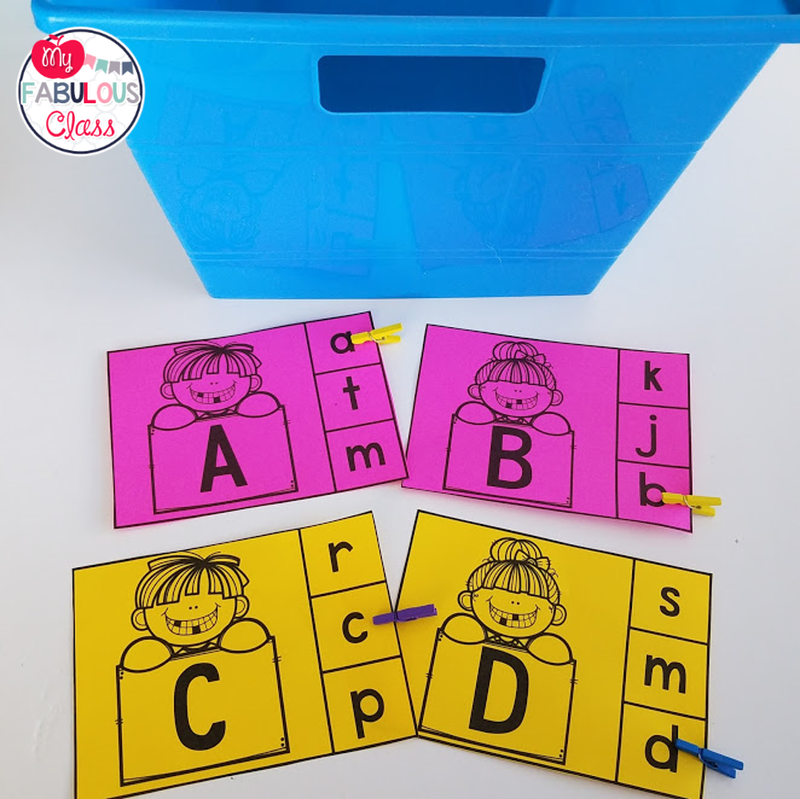 My class loves clip cards and they are great for fine motor. I found these little clips at Michaels. They provide a little more of a fine motor challenge this time of year. Letter Cards and Sight Word Cards for erasers. Yes, I have an eraser obsession. My Class has an eraser obsession. I can't stop, won't stop, buying them! 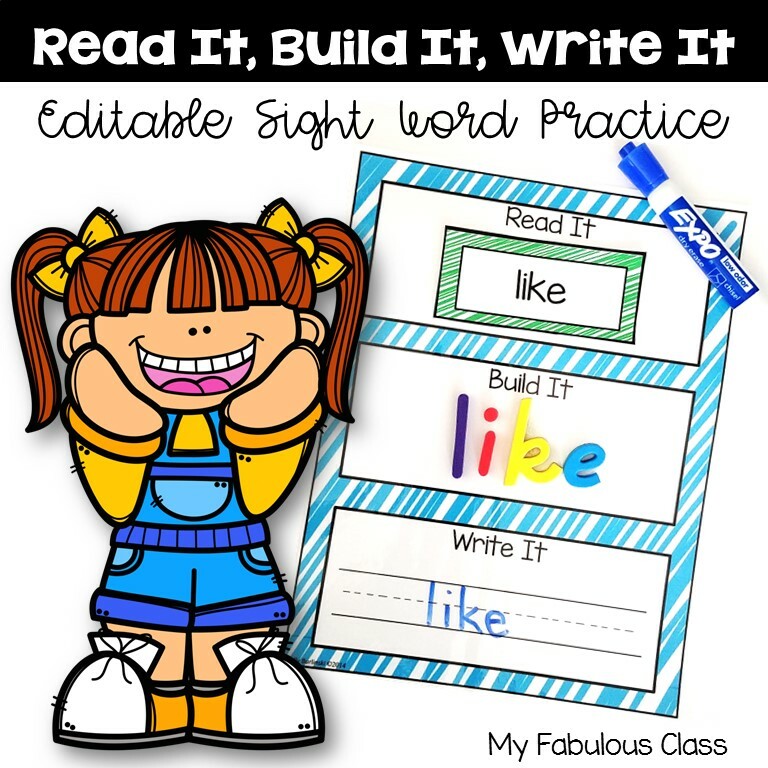 This a little twist on my classic Read It, Write It, Build It.These are half size cards with the words already on it. #truth I think these are easier than my classic because I don't have to search for the little cards. 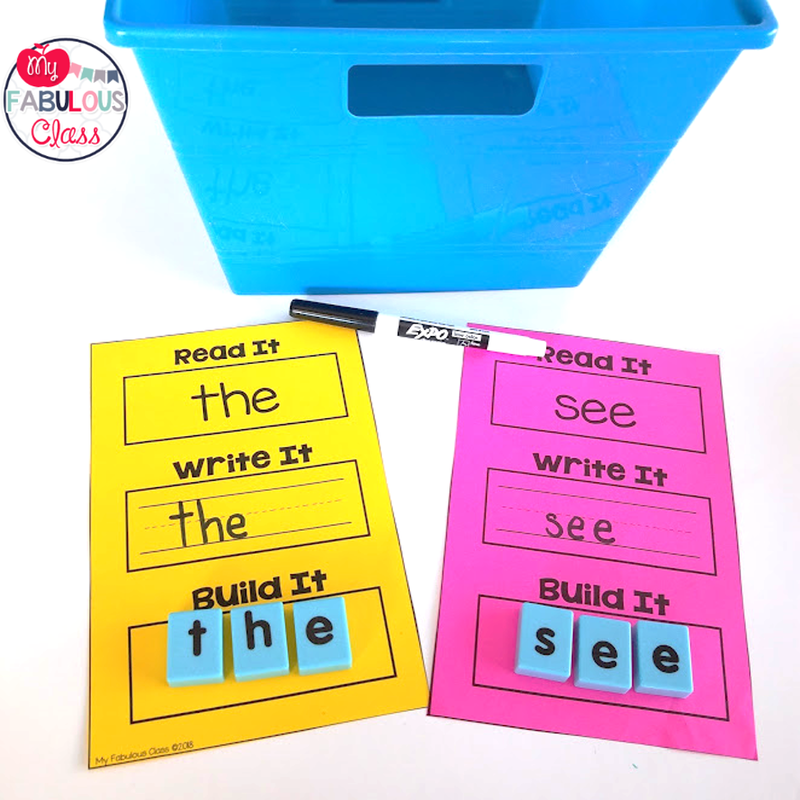 I used the dolche word list for this activity and the activity above. If you need additonal words, I will try to add them. Does this look familiar? 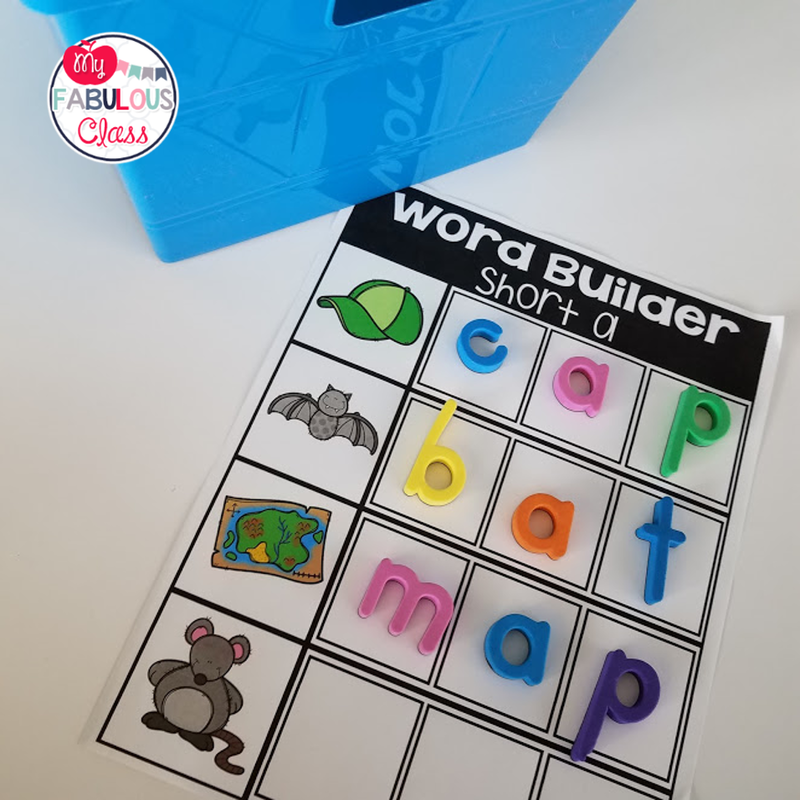 Yes, it is similar to my original CVC Word Work Bundle. There are different pictures and the fld to the side instead of above. This saves on paper when you print. First Grade Morning Work Buckets have recently been added to my school. Check it out! 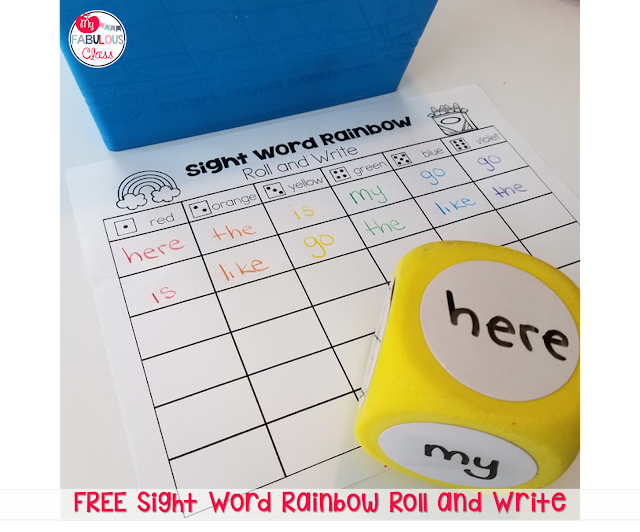 I love this rainbow roll and write for any sight word. I wrote the words on the dry erase dice from the Dollar Tree. 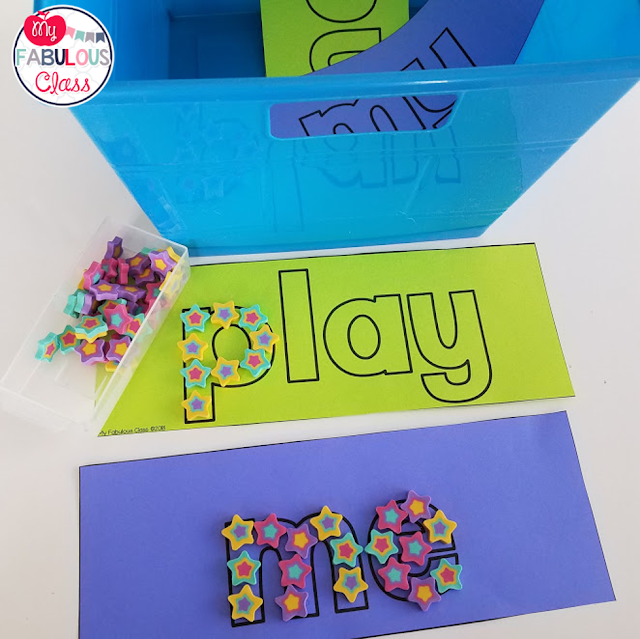 The kids can write the words they roll from left to right (ignoring the dice picture) Or, you can give the kids a list of 6 words. When they roll a 1, they write the 1st word on the list, when they roll a 2, write the 2nd word, etc. You get this FREE HERE. 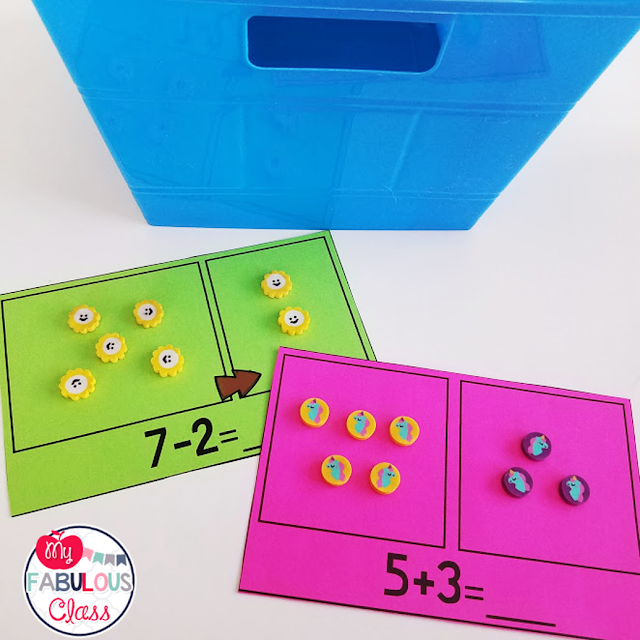 How cute are these Addition Flowers??? 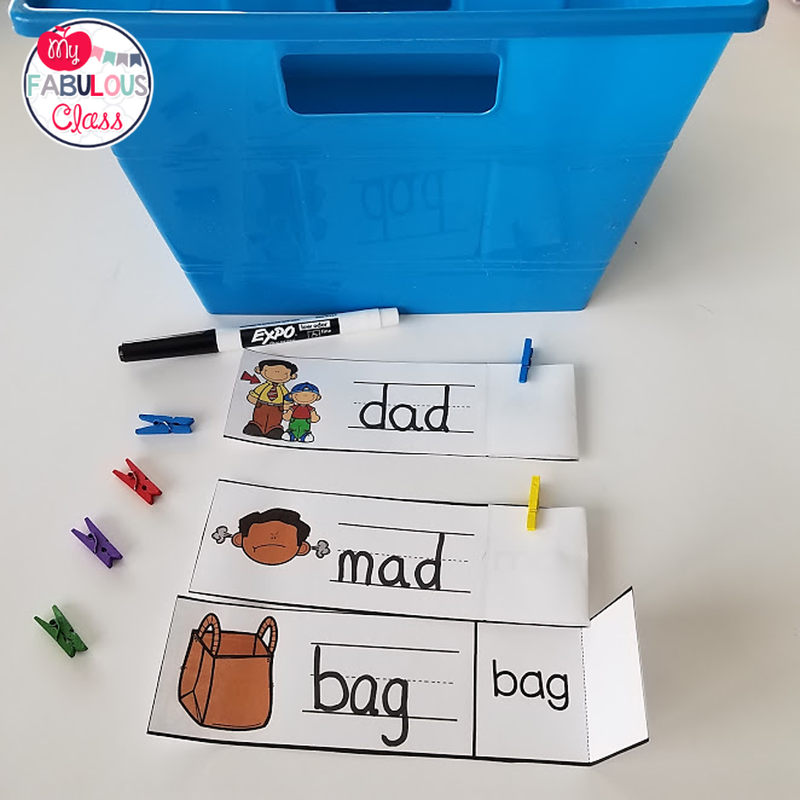 I laminated them, cut them out and hot glued onto a pipe cleaner. Then, added pony beads. They are holding up really well. I was worried the kids would pull them apart! Get this FREE HERE. 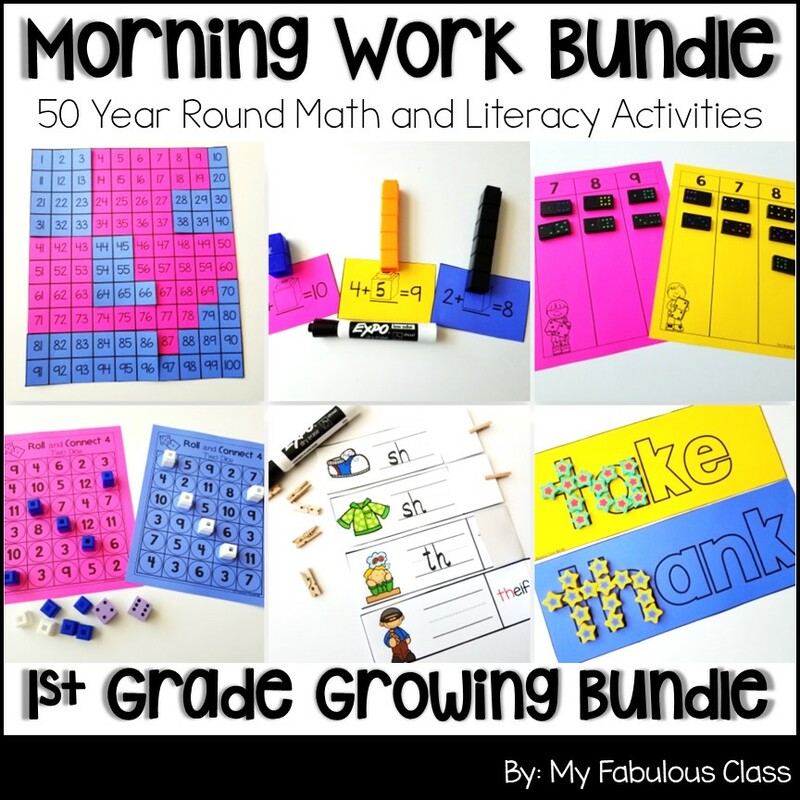 Want to learn more about Morning Work Buckets and how to set them up? Check out my original post here.